A cross-section of an oak infested by the goldspotted oak borer shows the damage done by the non-native beetle. 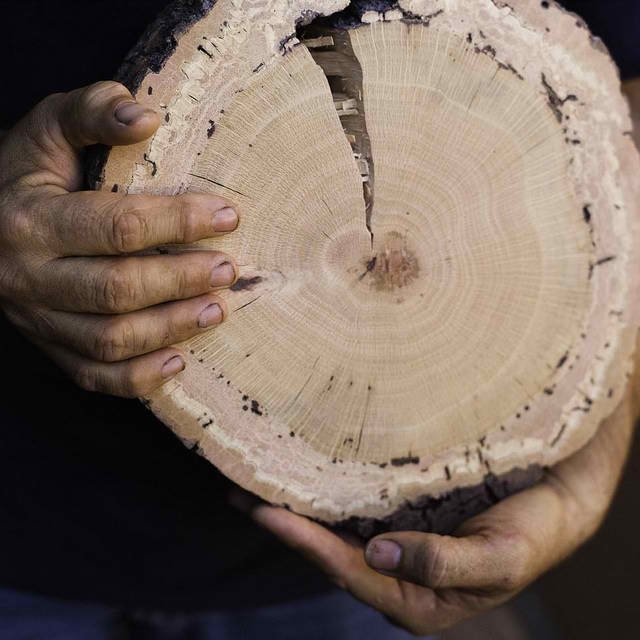 “Buy firewood from a local source close to your home to prevent the spread of insects and diseases, such as the goldspotted oak borer, sudden oak death and emerald ash borer,” said Tom Scott, a UC Cooperative Extension specialist based at UC Riverside who studies these invasive pests. “Many people don’t realize that firewood can harbor harmful insects and plant pathogens. Moving around infested wood can introduce those pests and pathogens to new areas where they might take hold and could have devastating impacts to trees, our natural resources and local communities,” said Don Owen, California Firewood Task Force chair and CAL FIRE forest pest specialist based in Redding. The goldspotted oak borer has killed more than 80,000 oak trees in San Diego County in the last decade and Scott hopes it can be contained in that region. The half-inch-long beetle is native to Arizona but not to California and likely traveled in a load of infested firewood, according to Scott. In a broader sense, buy firewood from reputable dealers, from local sources whenever possible – and try to make sure that the wood you buy has been properly seasoned and doesn’t contain pests. Don’t buy green firewood from unknown sources, it has the highest chance of containing pests and pathogens. Ask where the firewood originated. If it isn’t local, ask what precautions the seller has taken to ensure that the firewood is free of harmful insects and disease or consider buying from another local source. Wood should preferably be bark-free, or have been dried and cured for one year prior to movement. If you see D-shaped exit holes, be reluctant to buy unless you know the wood has dried for at least a year or longer. 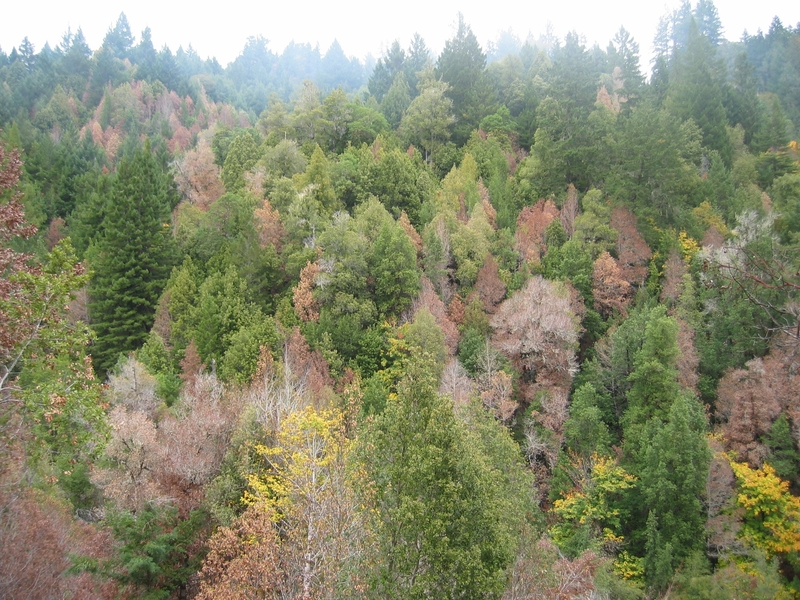 Sudden oak death disease has killed over a million trees in California.